My father used to shout at the radio when something he thought wrong was uttered. One such is the term ‘business vote’: there it is again on the front page of this morning’s Times. What is it? Am I being thick? I googled the term with UK. Found nothing, which in itself is unusual. Discover that businesses DO have a vote in parts of Oz and, until fairly recently, in Canada. In British Columbia there is argument being made for the re-instatement of business votes. This was removed in 1993. Residents have a vote based on their place of domicile and the argument goes that where a business is at a different address, the owner of that address should have a vote, meaning a second vote for a person. It applies to municipal elections; I can see some sense in this, where businesses are in a sense consumers of resources and are denied a voice in the provision of public services. Businesses have a vote in Sydney, in the election of mayor. In 2016’s election 23,000 businesses had done the paperwork (see) to vote. Each business has two votes, often cast by the senior director and the company secretary. The residents number 117,000 to the business 46,000 votes. Source. A long time ago in Britain, before universal suffrage, the rules for voting were remarkably unequal and the idea of a business vote was valid. Notwithstanding that progress, until 1948 there was plural voting available to those who (i) voted at university¹ and at home and (ii) voted in constituencies in which they held property, once per constituency. The equivalent Bill almost passed in 1910 and was not raised again until 1948, effective in the 1950 general election. If one accepts that a business has no vote, then what could the term business vote mean? • The people who are in business may vote in line with those interests. I doubt that Nissan workers in Sunderland voted in Nissan’s interests, given the subsequent action by senior Nissan management. • It may be that businesses are the major contributors to party funds. If so then in a sense such business is buying promises of future action and/or promises to include business interests prominently in decision-making. • It may be that the whole idea is far more indirect, along the lines of “It’s the economy, stupid” ². If we accept that the target is economic growth and assume that business is the source of this, then when businesses somehow express an opinion, government (and politicians in general) need to listen. But that is not a vote though it might be seen as such when businesses disagree over a policy enough to range on opposite party lines. • A news item in the US gave me what might be the best pointer: some businesses circulate an opinion within the company that (i) encourages voting to occur (ii) indicates which vote would have a positive effect upon the business. I heartily approve of the first of these. I support the second as information but have grave misgivings in any apparent or real duress being applied to voting. It is one of the essentials of voting that it is an individual choice. • in any population where non-voting is prevalent and so one in which a change in who actually votes can make a significant difference to the result (Brexit, 2012 &16 US presidential elections), then activating those in business who would not otherwise vote would be a positive, especially if those extra votes were biased to one side. This is a form of minority voting, which we usually ascribe to matters such as gender, education, ethnicity and income. 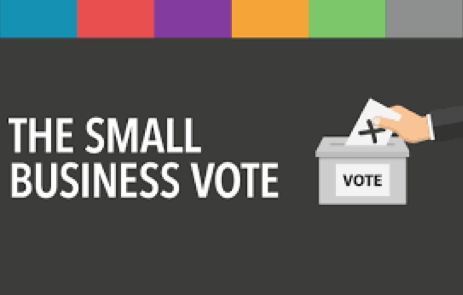 I remain confused over the term, I am more disturbed that I wish to admit that the several search engines I used failed to come up with any explanation of the term ‘business vote’ as it would apply in Britain. I found, in subsequent trawling (not trolling) a relevant article from the Telegraph. I saw this as warning that it is in the interests of us all to support the economy, that what matters to us all is the growth rate (and comparisons with our neighbours), and ‘the cost of doing business’, another phrase worth exploring, has as a significant element various taxes that the government imposes. What I found scary was the reference to populist influences, interpreted as anti-business and therefore counter-productive in terms of economic growth. Which is a bit like us having voted for Brexit, then finding immigration at a high, employment at a high, growth at a short-term high. The one does not imply the other and so we might sensibly worry whether this is a short-term effect – people and businesses scrambling to get things done quickly before all the rules change. Meanwhile we apparently exist in some sort of false dawn, where everything is looking better but promises and commitments are not occurring. The significant one being immigration. What, then, was the issue really? One suspects that it is the unskilled workers that are the source of the majority of complaints. If so, then we have to address who it is actually doing unskilled work. If, as we are often told, the local passport-holders are declining to do this not-very-pleasant work, then two ideas follow hard on the heels of that (i) it may not be paid what it is worth (ii) we need a severe change of attitude to not-work, particularly among the able-bodied. I wonder if there is good recent history written about the 2008 crisis? See Meltdown. 1 wikipedia: A university constituency is a constituency, used in elections to a legislature, that represents a university rather than a geographical area. University constituencies may involve plural voting, in which eligible voters are permitted to vote in both a university constituency and a geographical constituency, or alternatively they may only be entitled to vote in one. University constituencies originated in Scotland, where the representatives of the ancient universities of Scotland sat in the unicameral Estates of Parliament. When James VI inherited the English throne in 1603, the system was adopted by the Parliament of England. The system was continued in the Parliament of Great Britain (from 1707 to 1800) and the United Kingdom Parliament, until 1950. It was also used in the Parliament of Ireland, in the Kingdom of Ireland, from 1613 to 1800, and in the Irish Free State from 1922 to 1936. University constituencies have also existed in Japan and in some countries of the British Empire such as India. Today in the Republic of Ireland there are two university constituencies in Seanad Éireann, the Irish senate. 3 Don't forget health care. Although the sign was intended for an internal audience of campaign workers, the phrase became a de facto slogan for the Clinton election campaign. Misquoted or edited from wikipedia. 3 Cars made in Britain. AA. Morgan, Mclaren, Caterham are entirely British companies. Mini (BMW Cowley); Honda (Swindon); Toyota (Derbyshire); Nissan (Sunderland); Lotus (Norfolk, Indonesian owner); Aston (Gaydon, Kuwaiti owned); Bentley (VW, Crewe); Rolls Royce (BMW, Goodwood); Jaguar/LandRover (Liverpool and Wolverhampton, Tata (India)); MG (Longbridge, Chinese owned); Vauxhall (GM, Ellesmere Port & Luton); Ford (Transits only, Southampton). Britain made 1.7 million cars in the year to June 2016 (source) of which 78% was exported, mostly to the EU. 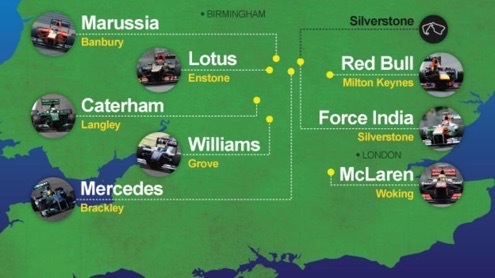 Most Formula 1 cars are made around Silverstone. see.